I wanted to write about positioning in CSS but recently I realized that I needed to go back to the beginning before grappling with issues like the Position and Display properties. The box model is the starting point to understanding positioning in CSS. In fact, every single element in your markup is actually a box. Make this your personal mantra. 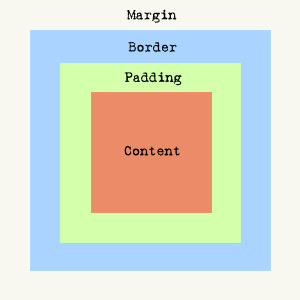 Every element on a page is a box described by the content, padding, border and margin properties. This is so simple as to be totally elusive. It isn't immediately obvious because the default value for the border element isn't visible and the background default setting is transparent. 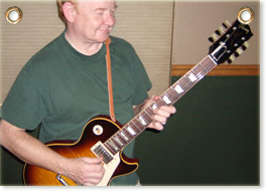 To the browser, even a single period is treated as a little box. The visible dimensions of the box are the sum of the content + padding + border values. The margin values determine the distance between the elements, horizontally and vertically. Here's how it works: when vertical margins meet, they will collapse to form a single margin whose height will equal the larger of the two combined margins. Mystery solved. Note however, that this rule only applies to boxes in the normal flow of the document. You can also use negative margins, but that is beyond the scope of this article (I've always wanted to say that). To sum up, whenever you set the width of an element on the page, you are actually setting the width of the content within it. If you set values for margins, padding or borders, you increase the space this element occupies on the page. Understanding this is fundamental, and necessary, before attempting to handle the other issues of positioning in CSS.